If you want a little insight into a surreal speech, this video should do the trick. When we get hit with the brunt force of a difficult complex news story, leave it to one of the dozen or so Daily Show alums who’ve become Late Night staples in recent years, the most public and celebrated of which is of course Stephen Colbert, and he did not fail us when it came to the surreal lucid nightmare that was the White House’s State of the Union speech. 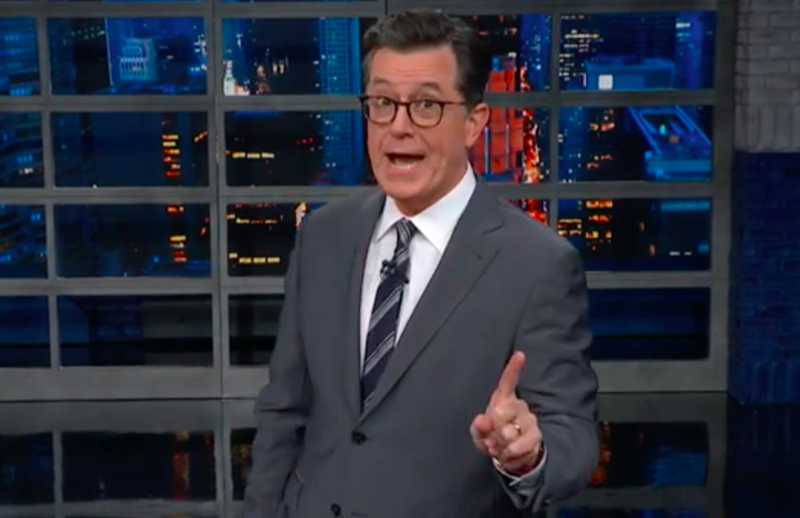 And Stephen Colbert, recognizing his role in explaining politics to the country (or at the very least, the part of the country that agrees with him that things are kind of in a dire state right now), made sure to do a live special after the State of the Union giving the blow by blow and play by play of the speech. Check it out below in order to get the righteous eye rolling that a speech like this deserves. The speech began with the way Democrats and Republicans alike preparing for the speech, which guests they brought to the event, from Alexandra Ocasio-Cortez bringing Ana Maria Archila, the woman who confronted Jeff Flake over his incredibly cowardly support of Brett Kavanaugh despite the fact that he really seems to have not believed in the guy. Cory Booker brought one of New Jersey’s greatest heroes, a flaming car (oh, New Jersey jokes, may you never take a rest). 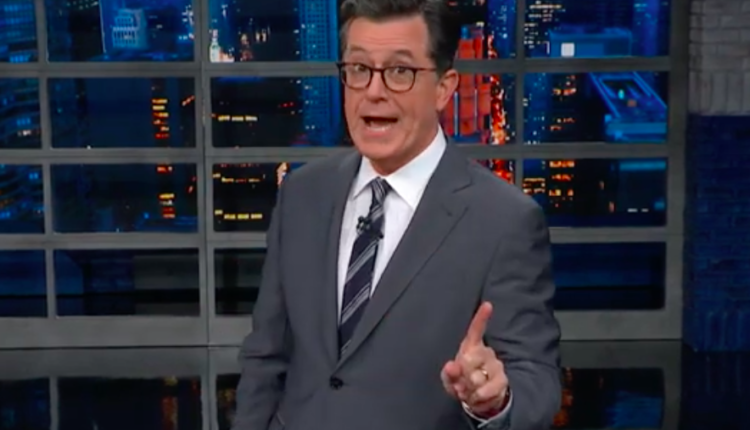 And then Colbert went to the blow by blow of the speech which you can check out above. The jokes in the speech focused muchly on the weirdnesses of Trump’s xenophobia, his classism, his strange promise to cure cancer, but they did walk around the fact that he lied that abortion doctors killed babies as they popped out of the womb, which is a bad thing to ignore, but the Curb Your Enthusiasm spike on Bernie Sanders as Trump said America will never be a socialist country, no doubt as a response to the popularity of Bernie Sanders and Alexandra Ocasio Cortez, was a really nice touch from Colbert and company. What did you think of the monologue? Let us know in the comments or on Twitter at @WhatsTrending, and check out our video about the time the late night hosts made fun of Trump’s insane solo press conference below!